The Houston, Texas, law firm of Larry D. Eastepp P.C., provides clients with comprehensive criminal defense services, with an emphasis on representing corporate officers, directors, executives, employees and companies facing state and federal white collar criminal charges, investigations or audits. Our firm principal, Larry D. Eastepp, is a solo practitioner and highly experienced white collar defense lawyer, having served 22 years as assistant U.S. attorney in the Eastern and Southern Districts of Texas. 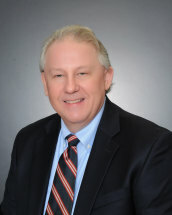 A veteran trial lawyer, Mr. Eastepp has handled numerous major fraud and white collar cases in federal courts throughout Texas, including courts in Houston, Galveston, Corpus Christi, Tyler, Marshall, Sherman, Beaumont, Brownsville, McAllen, Laredo and the United States Court of Appeals for the 5th Circuit. We assist clients with cases involving every type of federal and state fraud, financial/corporate crimes and health care fraud. We also handle a broad range of state misdemeanor and felony cases, drug crimes and theft offenses. We understand that one of the biggest goals in any white collar case is to prevent our clients from being indicted. After more than two decades as an assistant U.S. attorney, Mr. Eastepp is intimately familiar with Department of Justice policies, internal procedures and rules. We leverage his extensive experience as a federal prosecutor to help our clients navigate the criminal system and negotiate with prosecutors and investigators. If you have been advised that you are a potential witness or target of an investigation involving a white collar crime such as mail fraud, bank fraud, health care fraud, Medicare/Medicaid fraud or any issue involving corporate accounting, fraud, securities or theft, or if you have been arrested for a criminal offense call the Houston, Texas, law firm of Larry D. Eastepp P.C., at 832-598-5910 to speak to an experienced and respected criminal defense attorney. The law firm of Larry D. Eastepp P.C. represents individuals and companies who are under investigation, or have been charged with, a wide variety of white collar crimes, including fraud, health care fraud and financial/corporate offenses. Mr. Eastepp represents corporate officers, directors, executives and companies who are under investigation, or have been charged with, all varieties of fraud. At the law firm of Larry D. Eastepp, P.C., we understand that a health care fraud charge can be devastating to the life and career of a health care provider. Our main goal is to prevent our clients from being indicted. If you have been implicated in a corporate criminal matter as an individual, it is important that you hire your own attorney to represent your individual interests, as they may be different from the interests of the corporation.